Winter is here again, so the camping season is over for most of us. It is time to once again prepare RVs for their long winter naps so that they will be ready for the next season. Here is my personal RV winter checklist that you can use to prepare your RV for storage during the coming colder months. Mice, like any creature, seek out food and shelter. Removing food removes one of the primary attractants. When all of the food is gone, wash and vacuum all the surfaces to remove any food smells that might be attractive to the rat. You can take this further and add an overpowering smell that is known to repel rats (Such as Rat Away Concentrate). While you are at it, give that oven a good scrub. Rodents rely on their noses more than their eyes to find food, and that oven is filled with smells. The best way to prevent mice from entering your RV is to make it physically inaccessible. Make a visual inspection of every nook and cranny (Including the undercarriage). Carry an expanding foam sealant and apply it to any possible entry point. There are lots of them around areas with wiring and plumbing. 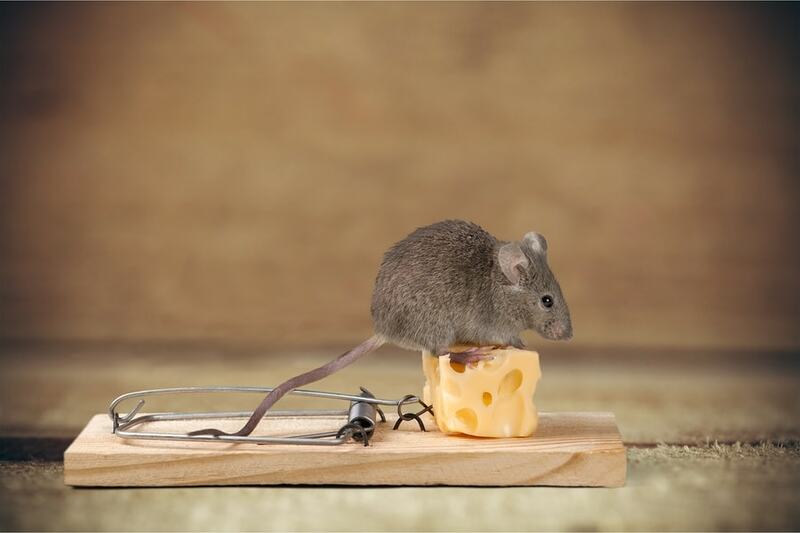 Read this post on mouse proofing. Left to itself, your battery will lose its charge over time. That charge protects the battery from cold weather that can crack the battery, cause leaks, and possibly totally destroy the battery. An uncharged battery will freeze at 20 degrees Fahrenheit (-7 Celsius). A charged battery will freeze at -80 Fahrenheit (-62 Celsius). That is quite a bit of a difference, and it leaves you with two protective options. You can disconnect and store the battery and periodically give it a boost, or you can low-power trickle charge it. Trickle chargers are cheap, but you can click to my RV battery storage guide if you would rather go with that route. Washing and waxing the exterior of the RV adds a layer of protection to keep the elements from destroying the paint job. A breathable RV cover with UV protection will also go a long way in protecting it from UV bleaching, mold, and mildew over the winter months. Prevent the dreaded water damage scenario that sends shivers down the spines of all RVers. Check all your seals and re-caulk your RV if needed. Check my guide over here if you need some help with that. Whenever you are going to store your RV for extended periods of time, you should consider filling the tank and adding a fuel stabilizer. The stabilizer will prevent the gasoline from degrading, and it will stop microbial life also called diesel algae from growing in the tank. It will also help to keep the tank from corroding and rusting. The sun bleaches all surfaces if it has enough time. Closing your curtains will keep the colors inside your RV looking like new. Check to see if your freezer has any build up of ice. Defrost it if it does, and then wipe it away. Adding some baking soda might be a good idea too to keep any smells from developing. Leave cupboards, closets, the refrigerator, and any other enclosed space open. Mold and mildew grow in warm and damp places, so opening up those spaces for air circulation is ideal. There are air circulators that have good reviews for mold and mildew prevention in RVs. Their claims are impressive, but I haven’t tried them myself. They are on my to-buy list. First, you will want to re-inflate the tires to help them keep their proper shape. Deflated tires can develop flat spots and the widening shape can increase the pressure on the sidewall. Over the course of the winter, the tires will be expected to lose roughly 1 PSI per month, so it is a good idea re-inflate the tires every few months. During those periodic tire refills, it would also be a good idea to re-park the RV. Changing which part of the tire is pressed against the ground can help spread the wear across the tire. Don’t park directly upon asphalt. Asphalt is petroleum-based, and it can eat away at the tires. Laying out pieces of cardboard or wood and driving the tires atop of them can prevent this deterioration. If you have some jacks, I would recommend using them to decrease the amount of pressure placed upon the tires. I’m not saying to lift the RV off the ground with the jacks; just take a little bit of weight off to ease the tires’ burden. Tire Covers are cheap and also a worthy investment. They can prevent further deterioration from UV damage and the rest of the elements. Okay, that’s it for now. Let me know if there is anything else that you think should be added to my winter checklist! I am an RV enthusiast that loves living life on the move. I have never been a person that can stay in one place too long because I love traveling and seeing all the interesting things in the great USA. As the founder of CamperGuide my goal is to provide you with well researched information so that you can enjoy the best of the RV lifestyle. © 2018 Camper Guide. All rights reserved. CamperGuide.org is a participant in the Amazon Services LLC Associates Program, an affiliate advertising program designed to provide a means for sites to earn advertising fees by advertising and linking to Amazon.com.